Copper cables have been the most preferred network cabling, though optical fiber has been growing thanks to the 10G/40G/100G Ethernet networks. Most servers and other network equipment have 10GbE network connections with 10GBase-T interface. 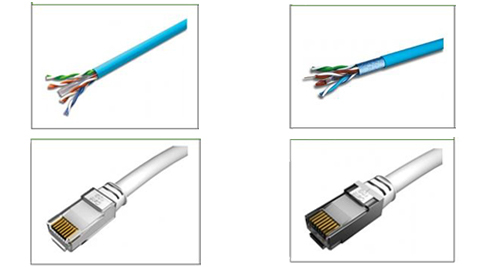 For these connections, the minimum required is CAT6 cabling or CAT6A cabling. Cable routing, cable management and other installations issue pose challenges in managing large volumes of copper cabling in data center. There has been development in reducing the cable size to accommodate more cables in less space while keeping the performance unaffected. These designs provide superior alien crosstalk suppression with small cable outer diameter to increase pathway capacity and improves airflow to critical active equipment . Both UTP and shielded cables are available for data center installation. Smaller, lighter, and more flexible cables save time during installation and reduce labor costs.